Your present location:Home >> Technical Support >> How to custom Segmented E-Paper Display? 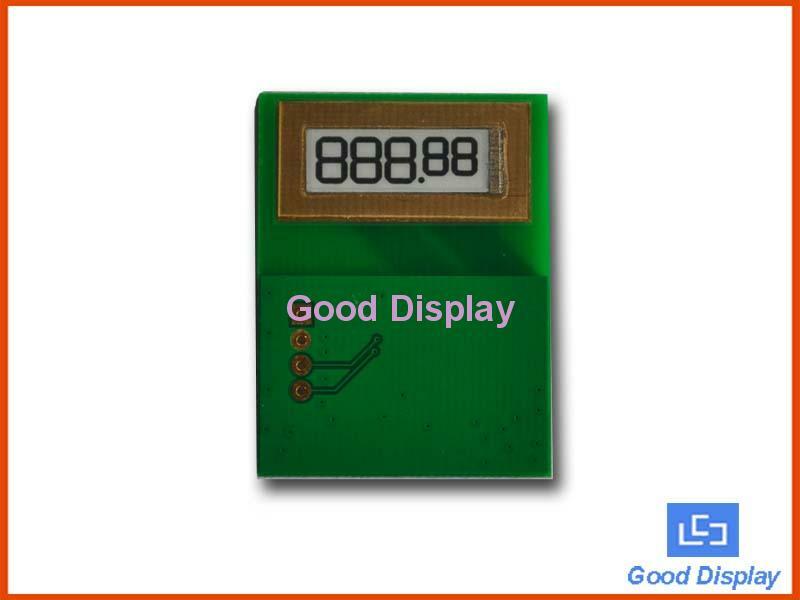 Custom segmented e-paper display products are available from Good Display. 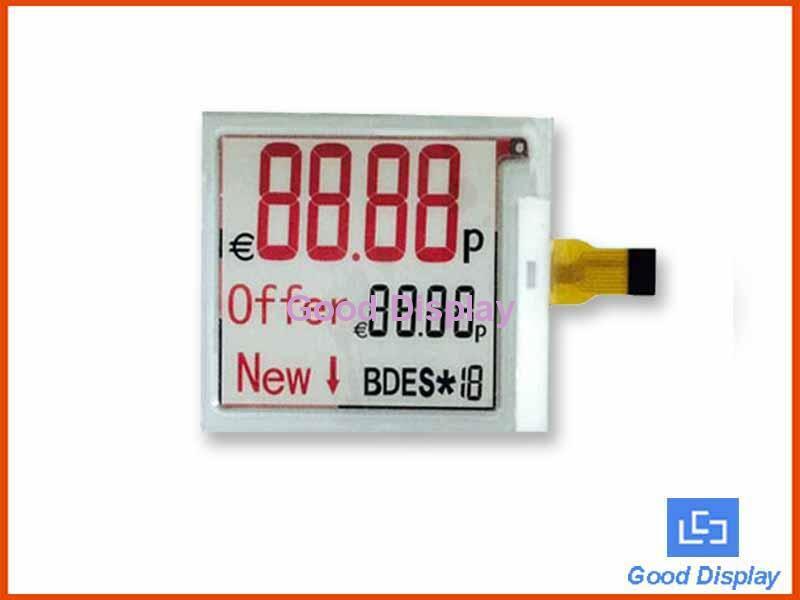 Segmented e-paper displays are used for many applications including electronic shelf labels, electronic scale, electronic signs, clocks, and smart cards. The e-paper is laminated on a flexible or rigid electrode-patterned substrate, individually addressing each segment. This enables the substrate and individual segment to be directly driven and separately controlled. E-Paper is made up of millions of tiny microcapsules, about the diameter of a human hair. Each microcapsule contains positively charged white particles and negatively charged black particles suspended in a clear fluid. When a positive or negative electric field is applied, corresponding particles move to the top of the microcapsule where they become visible to the viewer. E-paper takes designs to a new level. Unlike LCDs which are made with glass, our material is extremely thin and flexible. Readable like paper, it is visible in sunlight with nearly a 180 degree viewing angle. Ideal for your power budget, e-ink e-paper prolongs battery life, drawing power only when switching due to its bistable image characteristics. Custom shapes enlarge your possibilities. The tooling cost for matrix E-paper is very expensive,about $1 million, and few people can afford to it, so here we just talk about how to custom Segmented E-Paper display. Applications for the technology are broad, including a wide variety of consumer electronics, watches, medical devices, industrial gauges, PC accessories, smart cards,electronic shelf labels, and mobile communications. 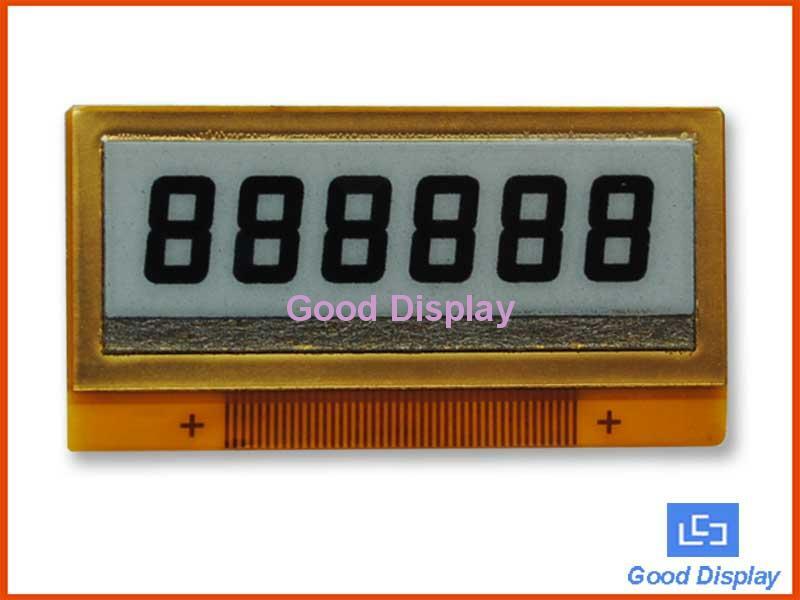 And we offers two types of Segmented displays: Segmented Display Cells (SDCs), and Segmented Display Modules (SDMs). 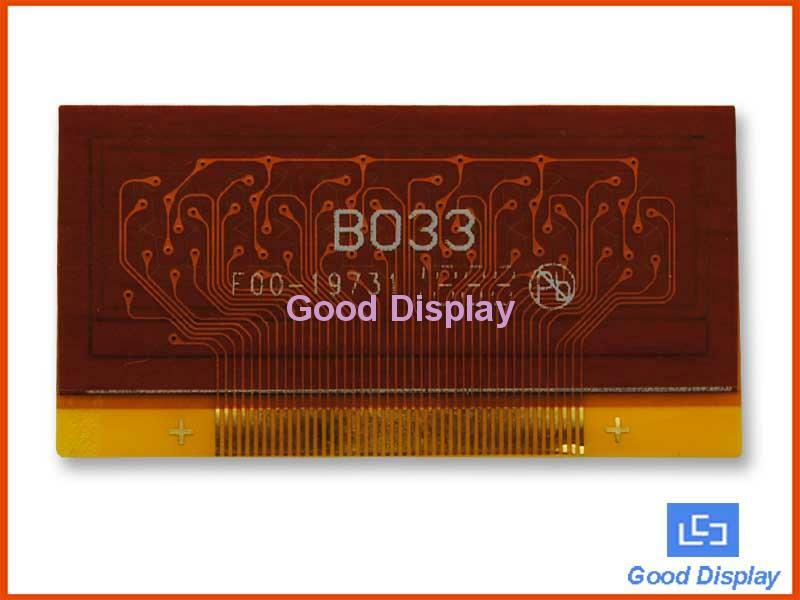 Usually, there are 3 kinds material as the backplane of segmented e-paper display. 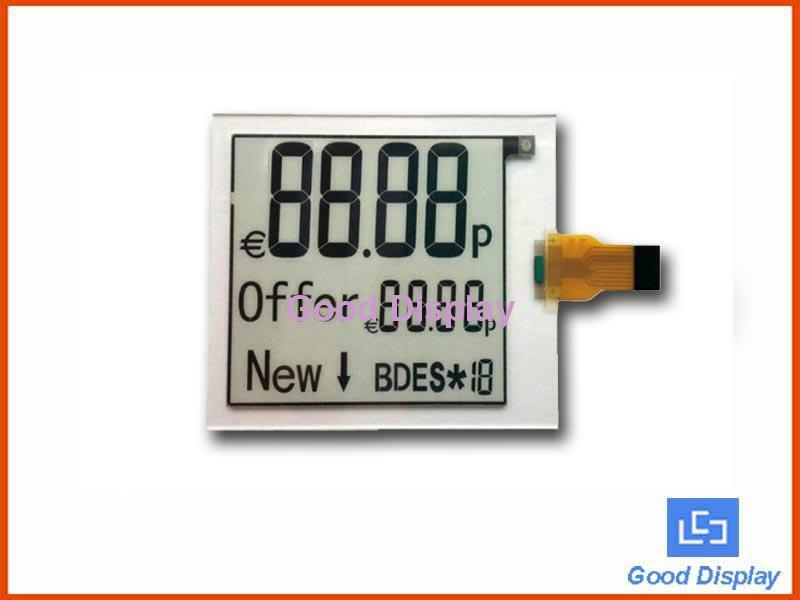 Ultra Low Power：E-paper displays are bi-stable, drawing power only when updating the display. 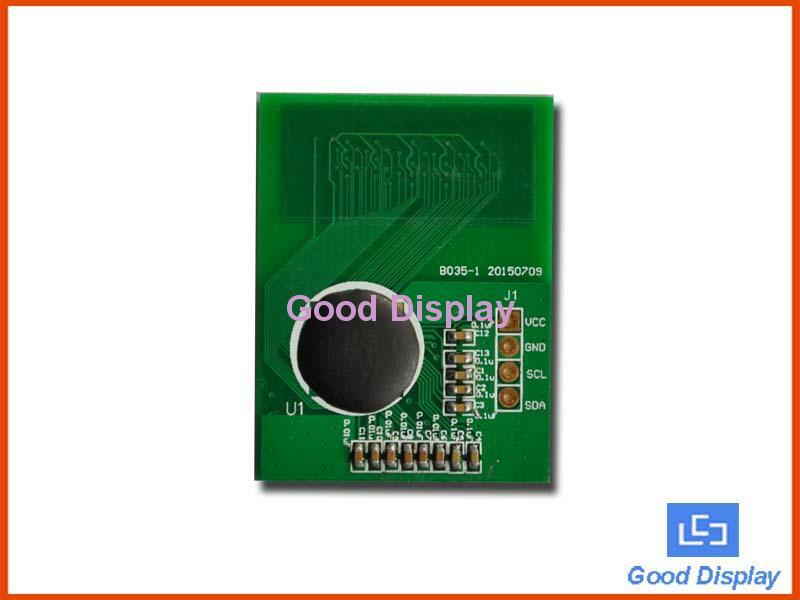 Consuming approximately 0.5 micro amps per cm2 while switching the display, E Ink displays require zero power to display a static image. Thinness： Segmented e-paper display thickness can be between 380 and 560 microns. Rugged：Segmented e-paper displays are non-glass and shatterproof for added durability. 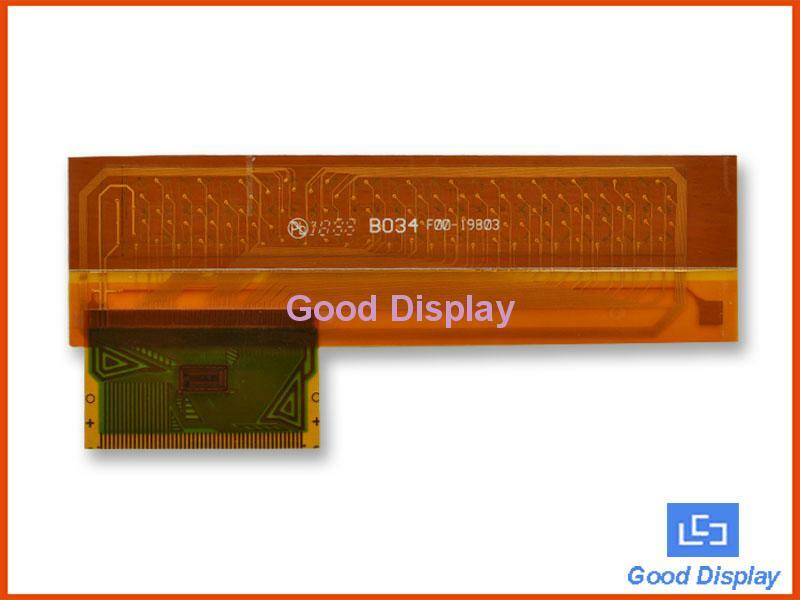 High contrast：Segmented e-paper displays are daylight readable with a 180 degree viewing angle. Design：Segmented e-paper displays can be manufactured in any 2D shape such a circle, triangle, or abstract shape, enhancing industrial designs. In addition, E Ink's unique capabilities allow for the foreground and background to be reversed from black on white or white on black.